Tomes and Tequila: Case for Christ.. Okay...I feel so much guilt in writing this review. Netgalley sent me the New and Revised edition of The Case for Christ...and I didn't even finish it. I know, I know...the guilt is weighing me down! This isn't going to be a bad review though, as I really don't think it's a bad book per se. I read enough of it to feel comfortable saying it's a solid 3 to 4 star book...but it just wasn't for me. As you all should know by now, I actually love reading Christian nonfiction books...and I am always looking for a new one to add to my collection (let me know if you have any recommendations!). The Case for Christ had previously been recommended to me, and I believe I may have a battered second hand copy hiding in the back of my closet somewhere. So when the opportunity came to read a new edition, I jumped at the chance. 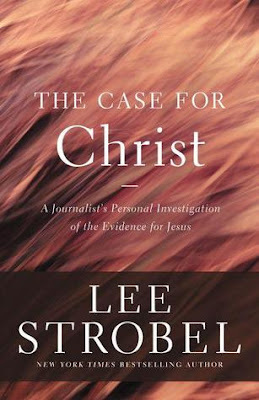 The book, by Lee Strobel and first published in 1988, is an investigative piece written by a reporter interviewing leading scholars on the evidence of Jesus Christ really being the Son of God as told in the Bible. I feel there is definitely an audience for this book, but I don't think I'm it. If you are on the fence as to your faith...your belief in God, etc...then perhaps you should spend some time reading this. Strobel delves into whether the Gospels can be considered a reliable source. It also discusses where Jesus was mentioned in other historical documents of the time (Pliny the Younger anyone?). So I feel that if you are really looking for information to back up your beliefs, you would probably find some solid info in the pages of this selection. If you are regularly getting into heated debates with folks over your Christianity, this book would probably give you some ammunition also. The book has citations and I believe solid research behind it. But it was SO DRY. I really didn't feel any passion...there was nothing compelling me to keep on reading. It honestly felt like a chore to me. As a matter of fact, even writing this review has been difficult. And the guilt just keeps piling on! I guess for some background I should state, I am not a regular church goer. I get most of my church from Youtube videos (I can go to my family's church in Dallas without leaving my couch! ), podcasts and books...although I have been to services quite a few times recently. But although organized religion and I haven't been regular friends, I have a very strong personal Faith...and I think I have a pretty darn good relationship with my God. So I guess the academic nature of this work just wasn't the right fit for me. Clearly I wouldn't have done well in Seminary school! I want my God surrounded by Love and Passion...not evidence and legal testimony. But I think I will keep The Case for Christ on my Kindle, and read bits and pieces every now and again. It did give me some information that I didn't previously have. I don't know...maybe it just didn't come into my life at the right time. Here's hoping my next review is filled with glowing praise! 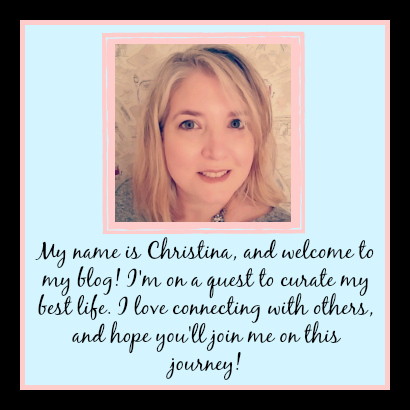 :) Have you read The Case for Christ? Do you have any other spiritual books you think I should check out? Do you like your religion academic or filled with emotion? Let me know here, or over at my Facebook page.